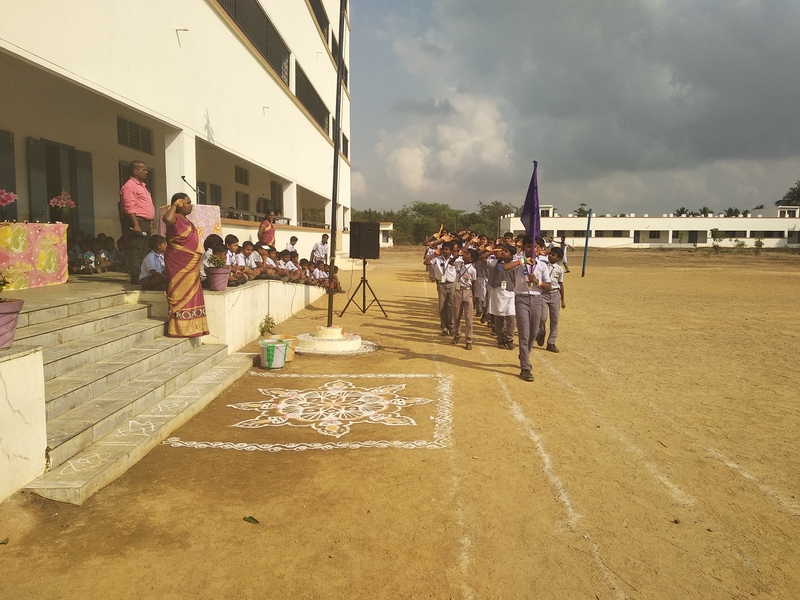 March-past by students - salute by the Principal Smt.P.Devaki. 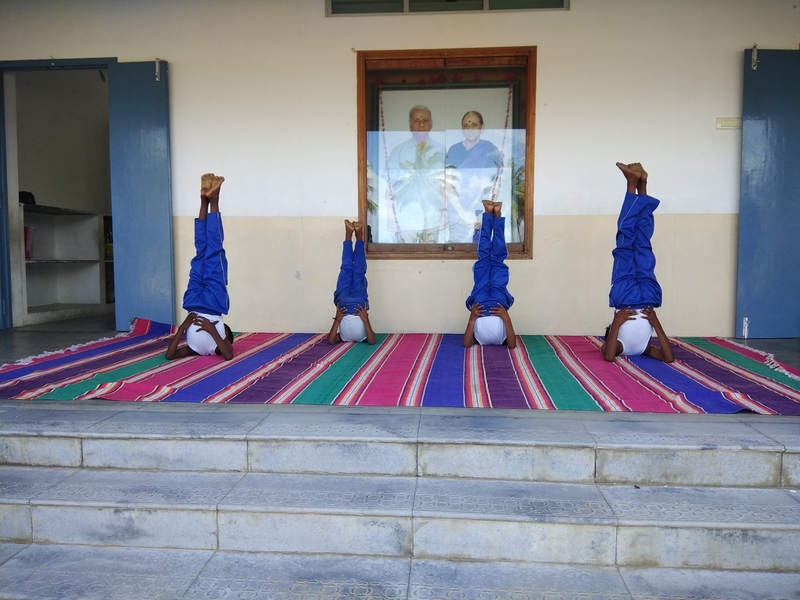 Students performing Yoga Asanas as part of the celebration. 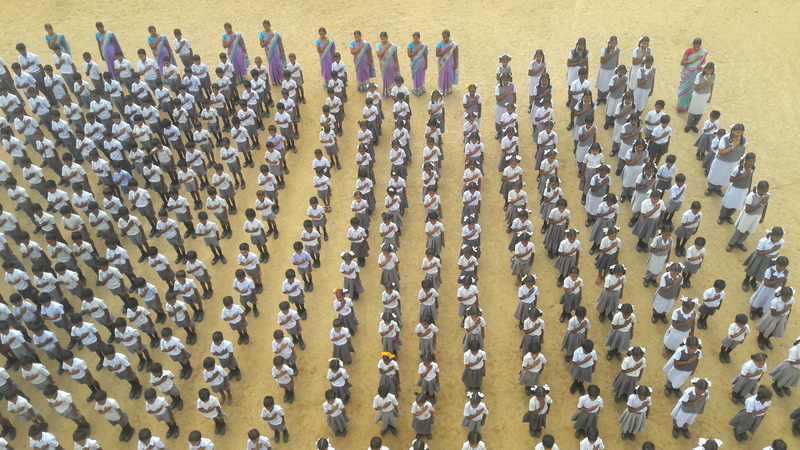 The students give salute as the Marched past the Principal Smt.P.Devaki. 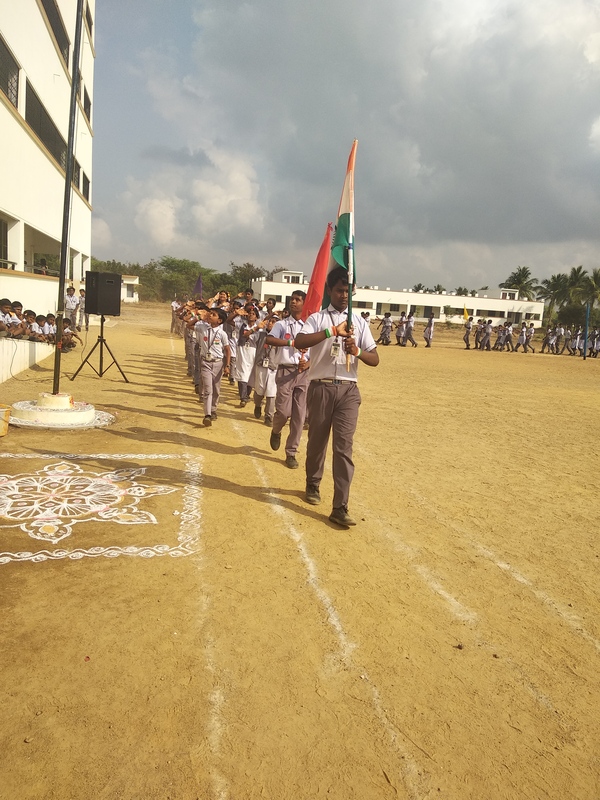 Remembrance Day of Founder (27.7.2018). 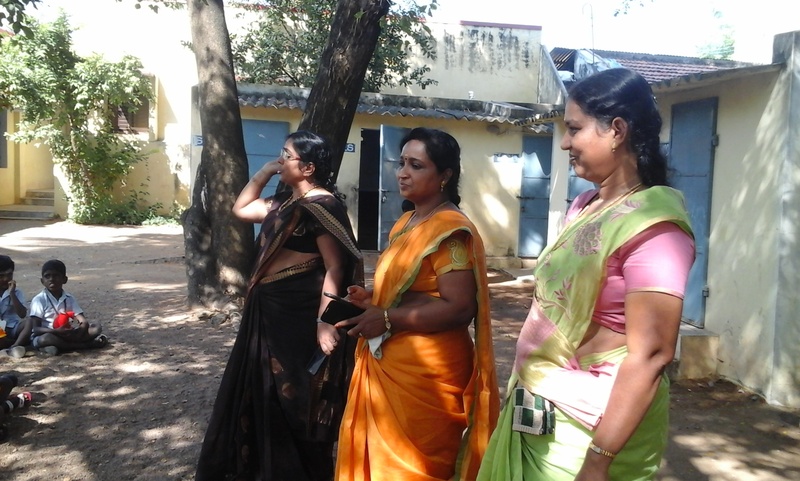 Remembrance Day of Prof.M.E.Doraisamy - Photographs taken on the occassion. 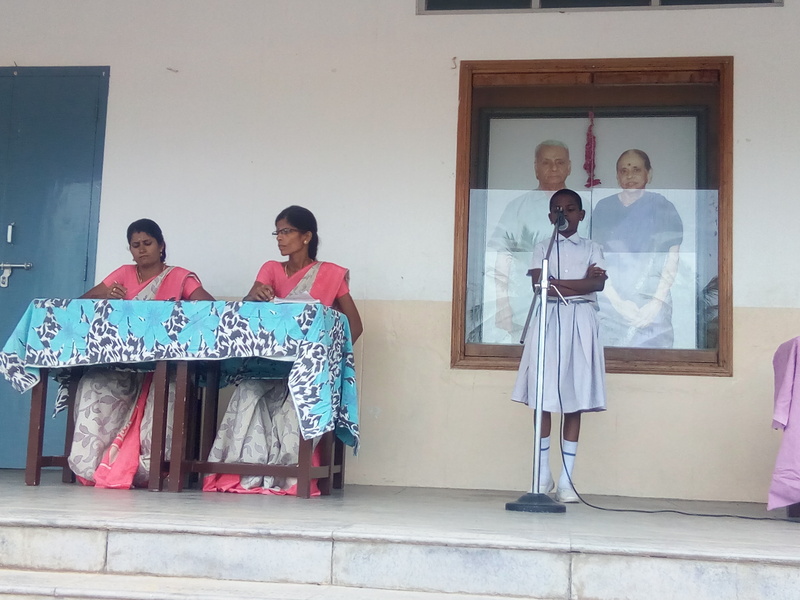 The Principal Speaking on the life and works of Prof.M.E.Doraisamy. 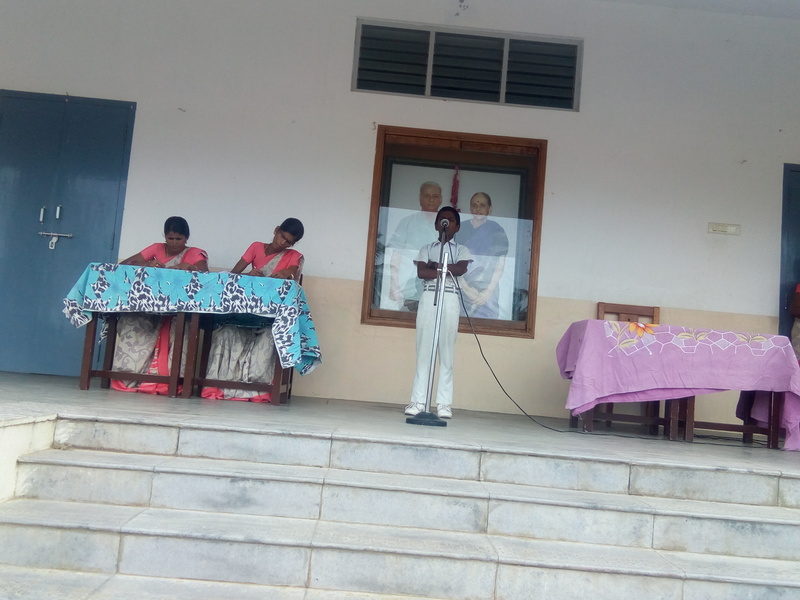 Students giving speeches on the occassion. 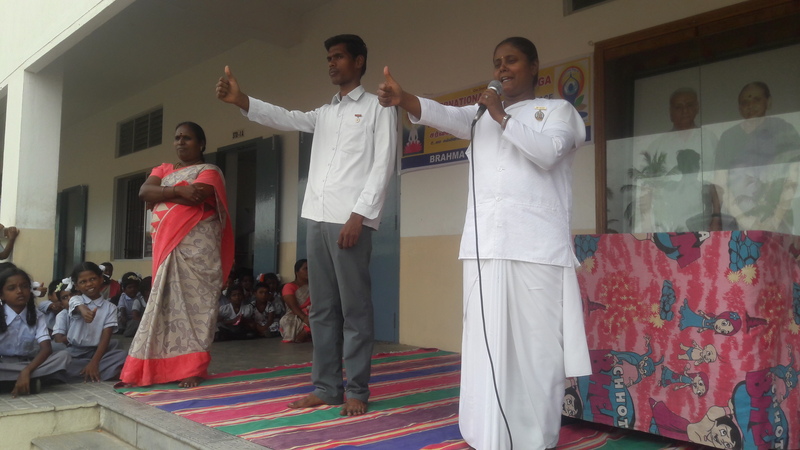 Photographs taken on the occassion of Guru Poornima. 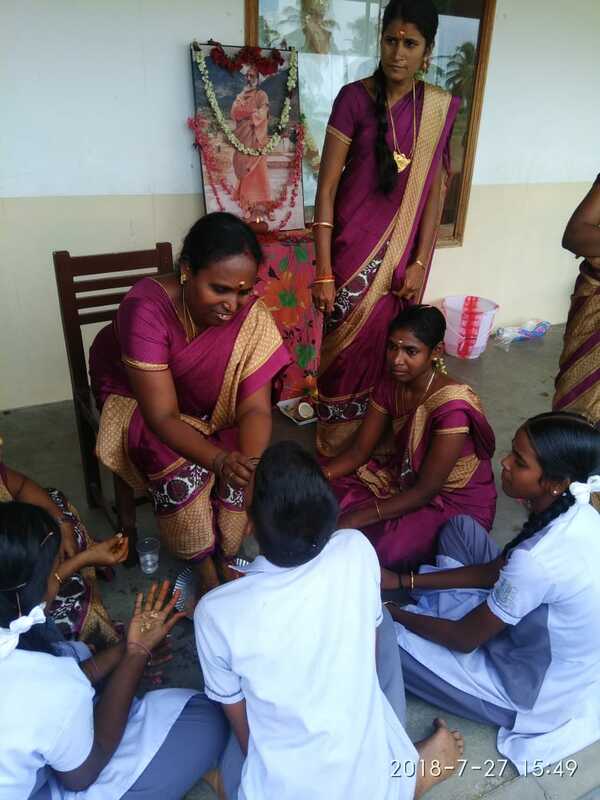 Students performing padha - pooja to the Teachers. 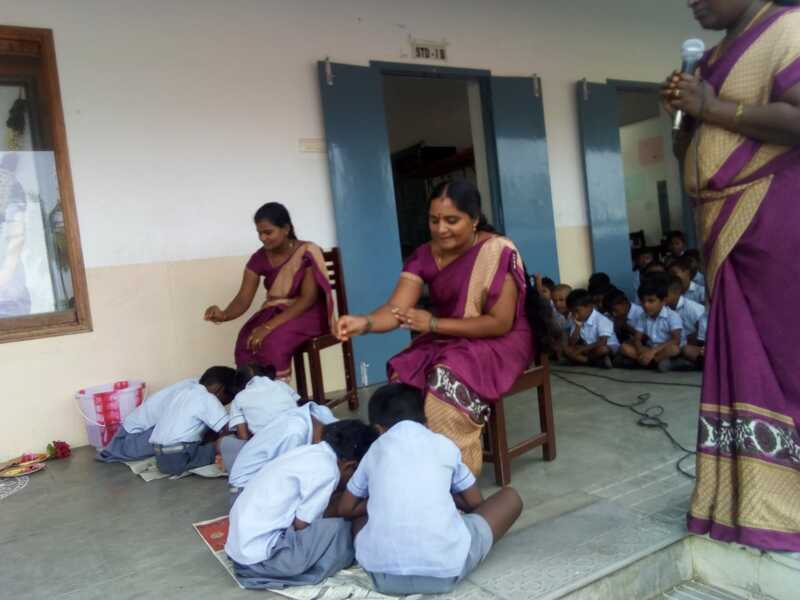 The Teachers blessing the students on the occassion. 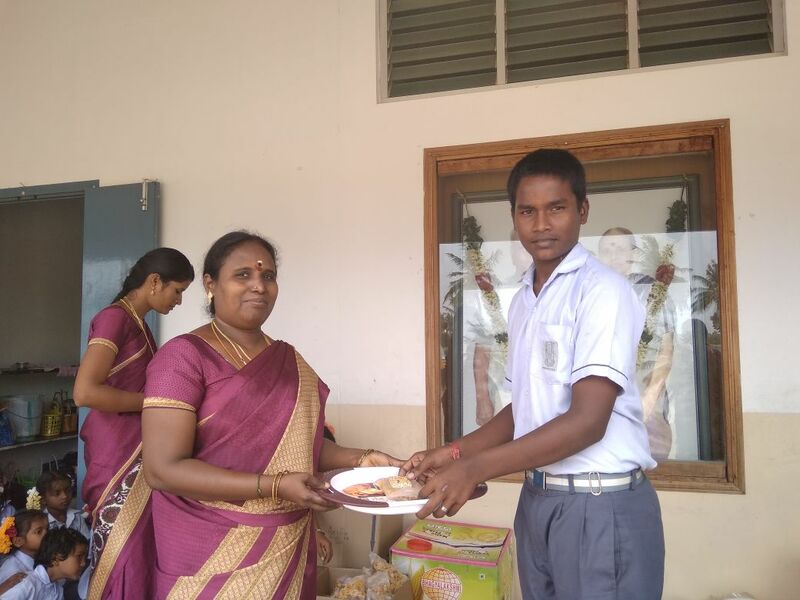 Students offering Sweets to Teachers. 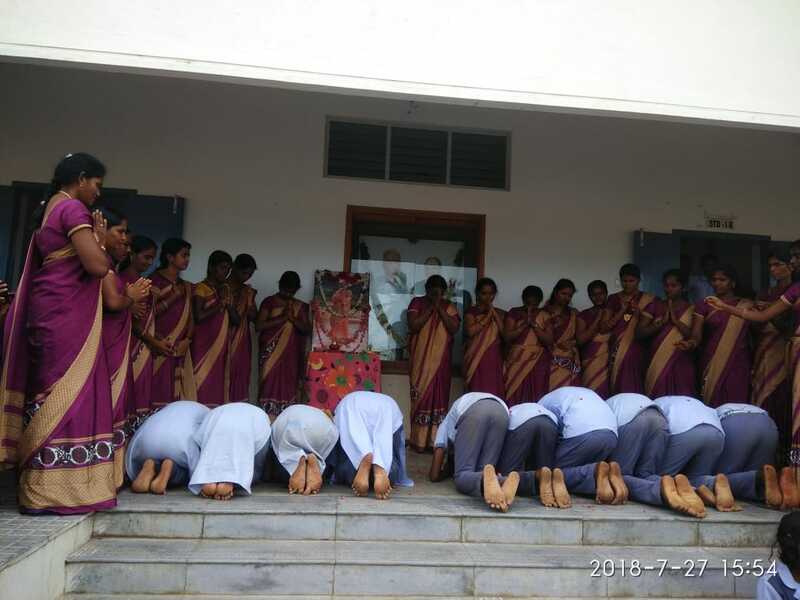 Birthday of Sri.K.Kamaraj former Chief Minister of Tamilnadu was celebrated by the Staff and Students of the Vidyalaya. 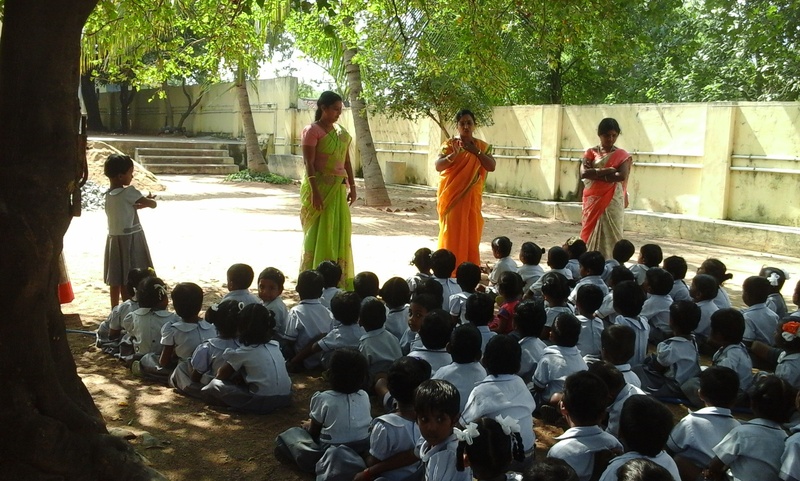 Students singing a song in choruse. 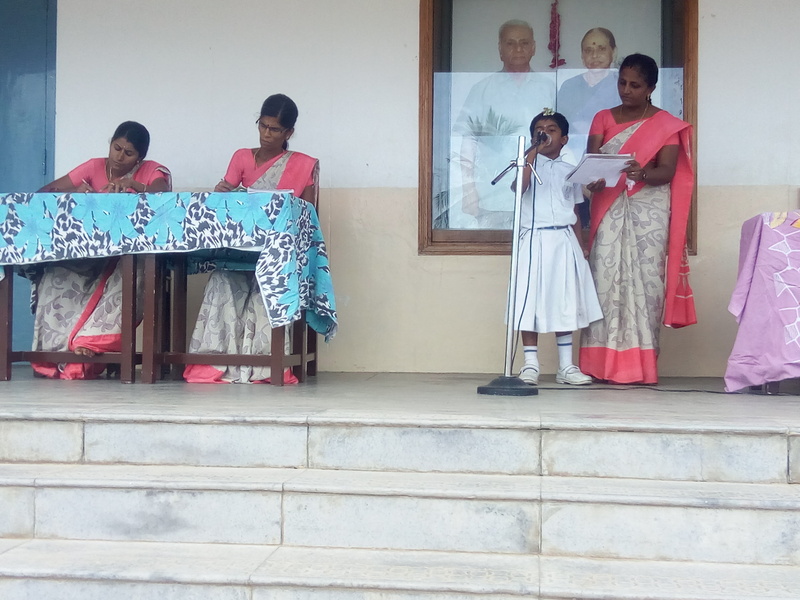 A Student giving speech on the life of the great leader. 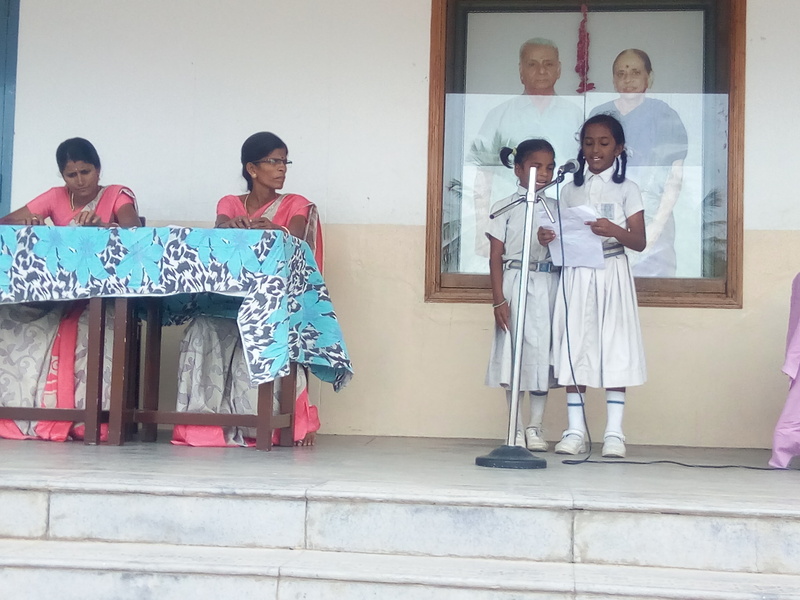 Students speaking on the life and work of Sri.Kamarajar former Cheif of Minister Tamil Nadu. 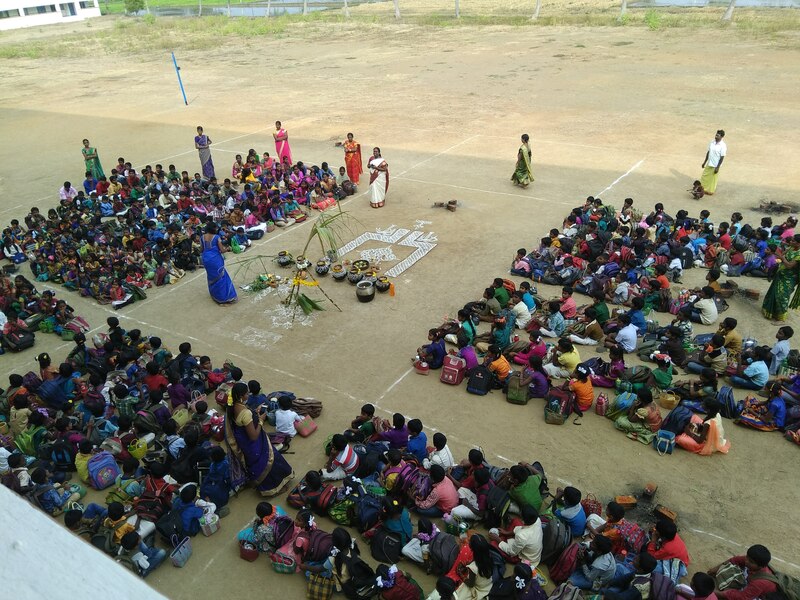 International Yoga Day was observed in our Vidyalaya on 21.06.2018.The Brama kumari's attented the event and top some of Aasanas to our Teachers and students. 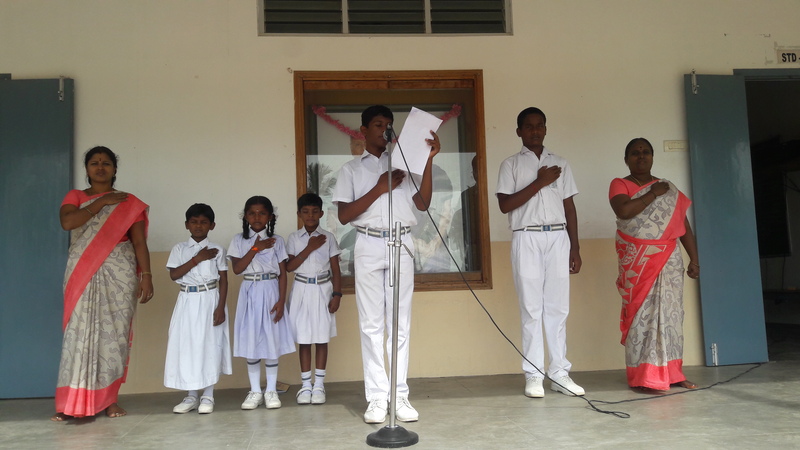 The Education Department instructed that the students should undertake " Pasumai Uruthimozhi " at the end of the prayer held as part of the morning assembly. 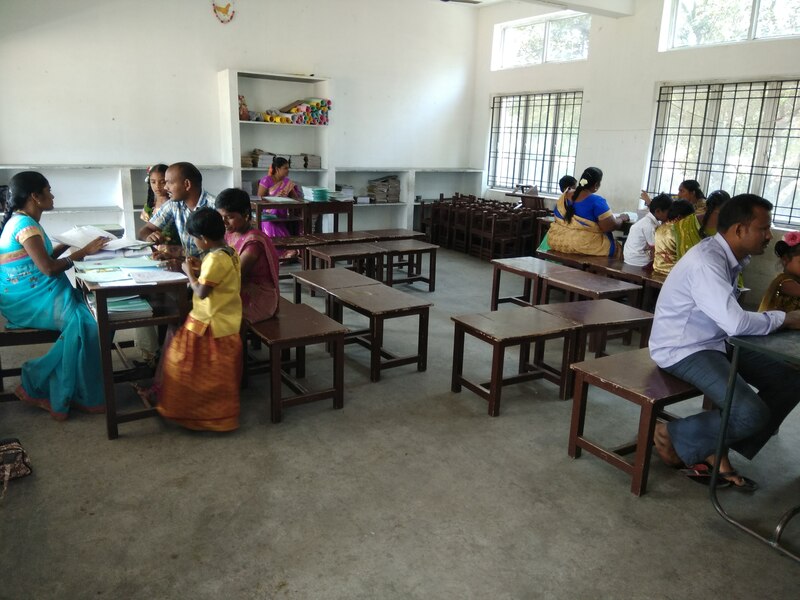 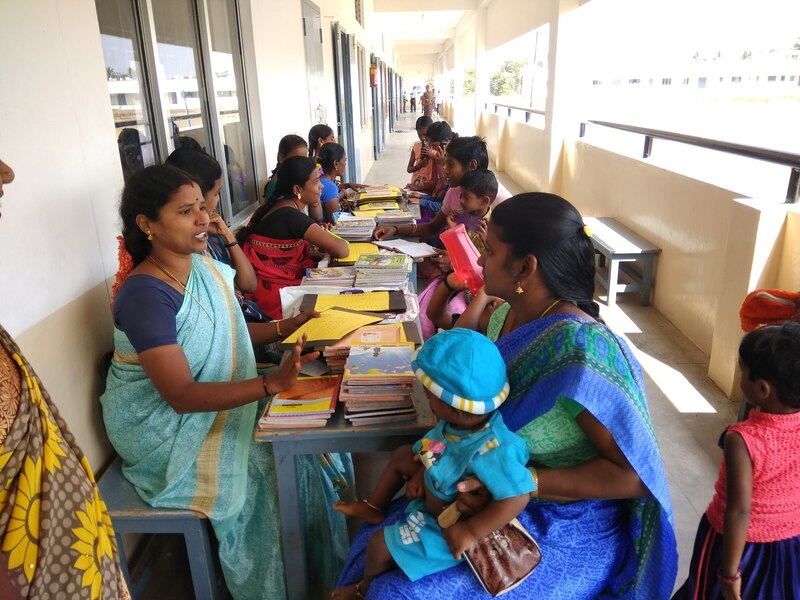 Parent's Meeting held on 20.01.2018 at CV - Mandakolathur. 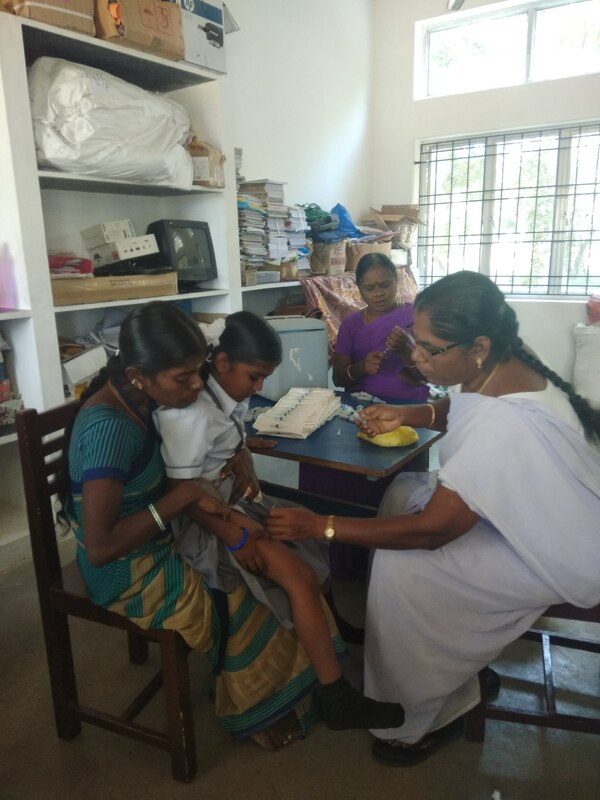 Nurses from Public Health Center - Kommanandal injecting DPT vaccine to I Std Students of CV-Mandakolathur. 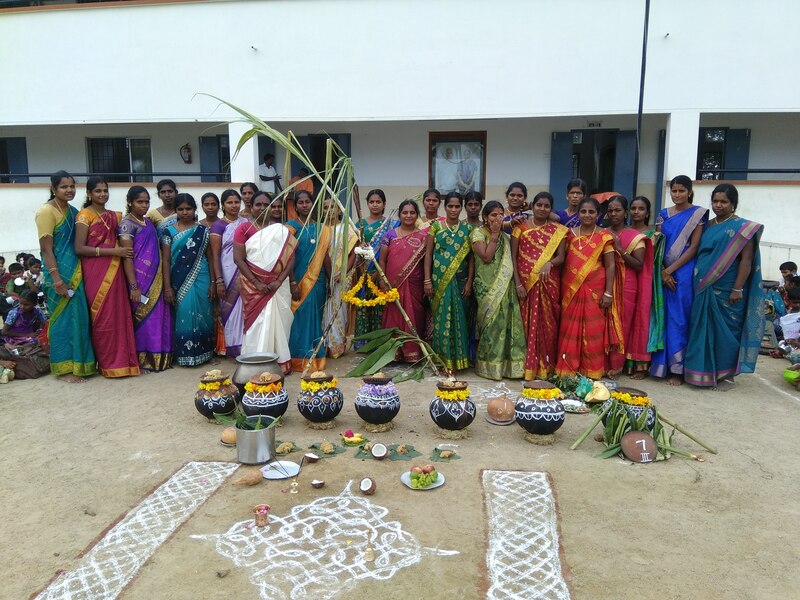 Pongal Celebration: Staff members reverentially looking at the Sacral Pongal-Pots before starting the celebration. 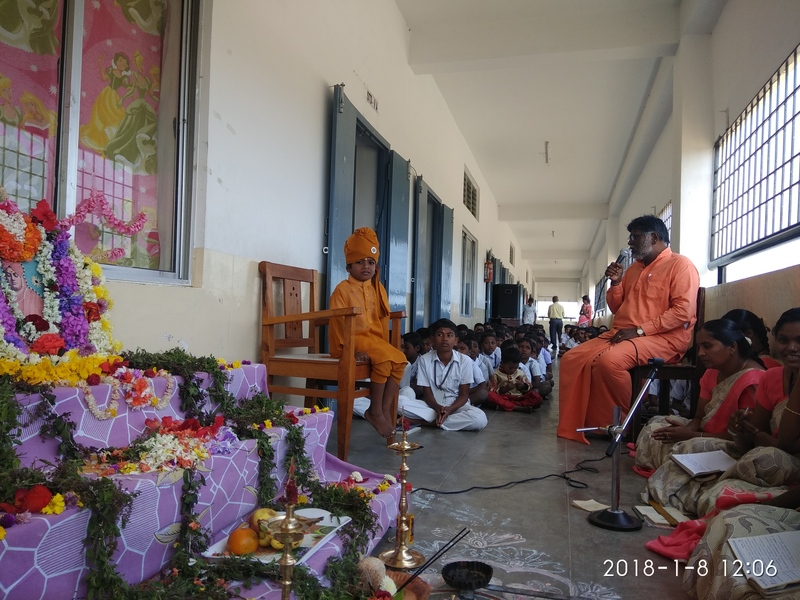 Swami.Sakalananda ji, Acharya addressing the staff and the students on the significance of Pongal conveying our gratitude to the Sun God. 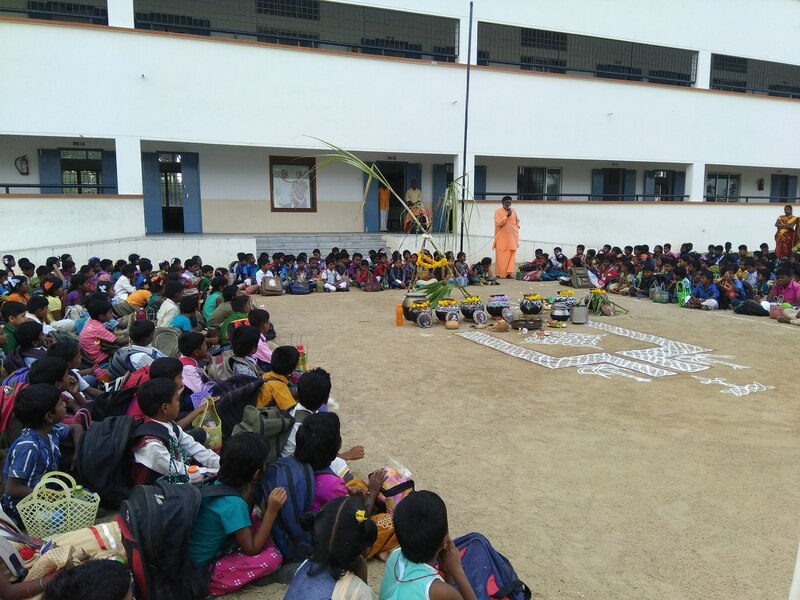 The 156th Jayanthi of sri swami vivekananda ji was observed in our vidyalaya. 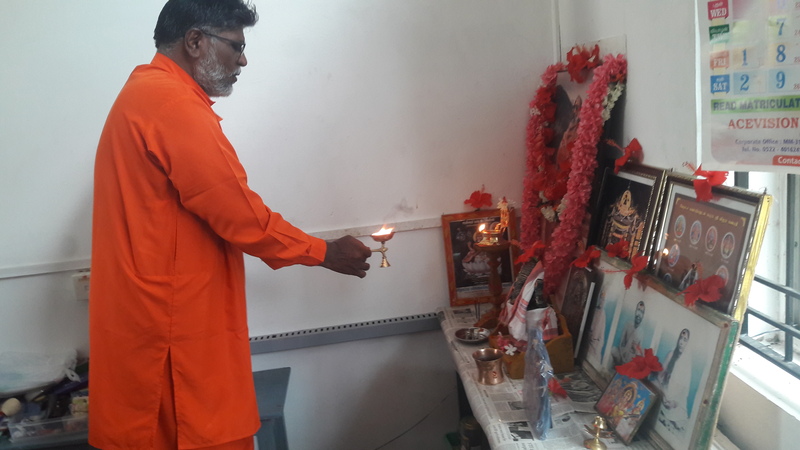 The event include special pooja and bajan was performed by swami sakalananda ji .Prasad was distributed among the staff and students. 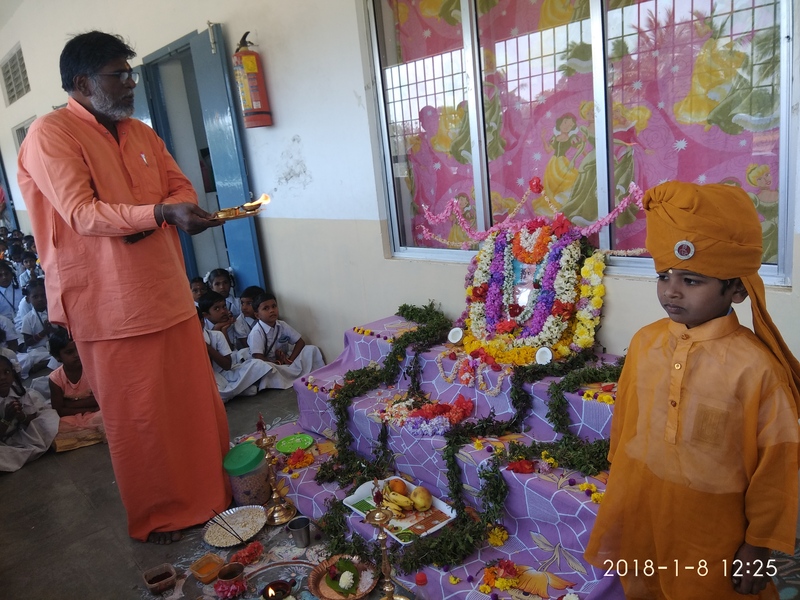 Geeta Chanting Competition held on 08/01/2018. 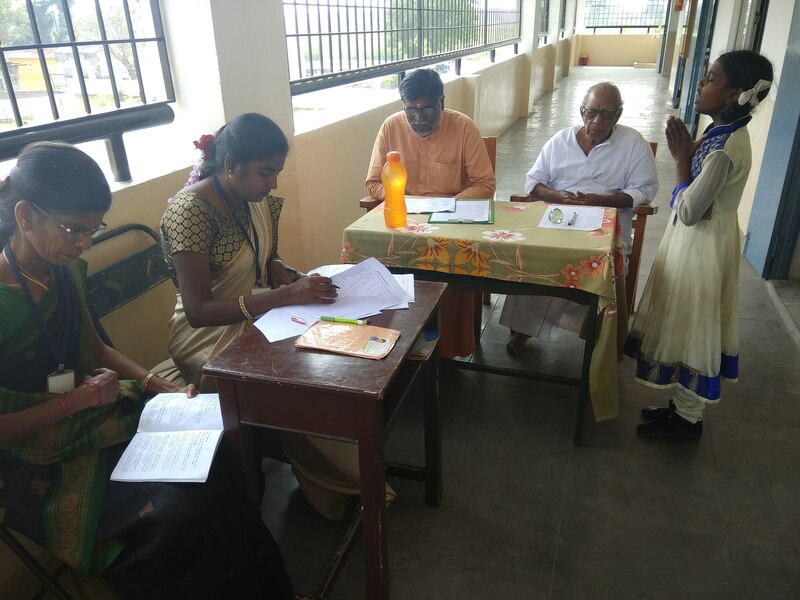 The Selection of winners was made by Swami.Sakalananda Ji and the Correspondent along with two teachers - Smt.T.Manjula and G.Seetha. 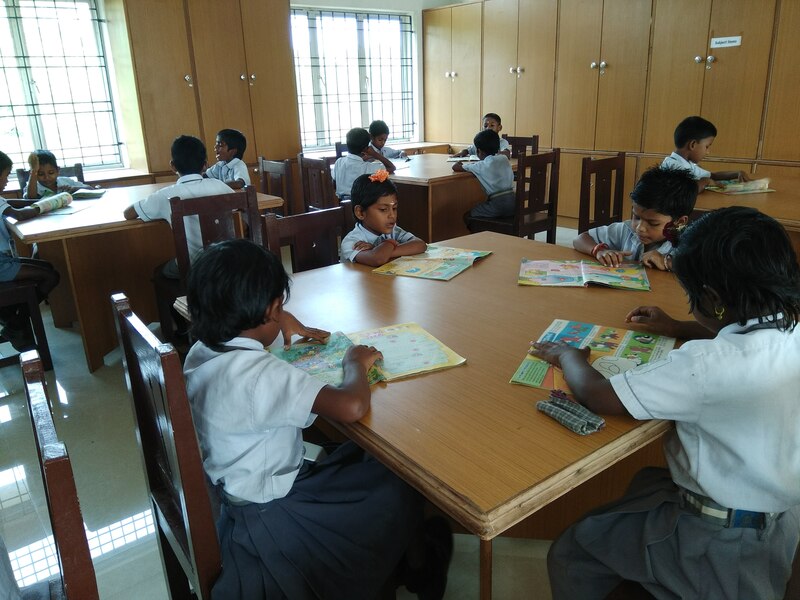 Children studying books in the Library - under the guidance of the librarian. 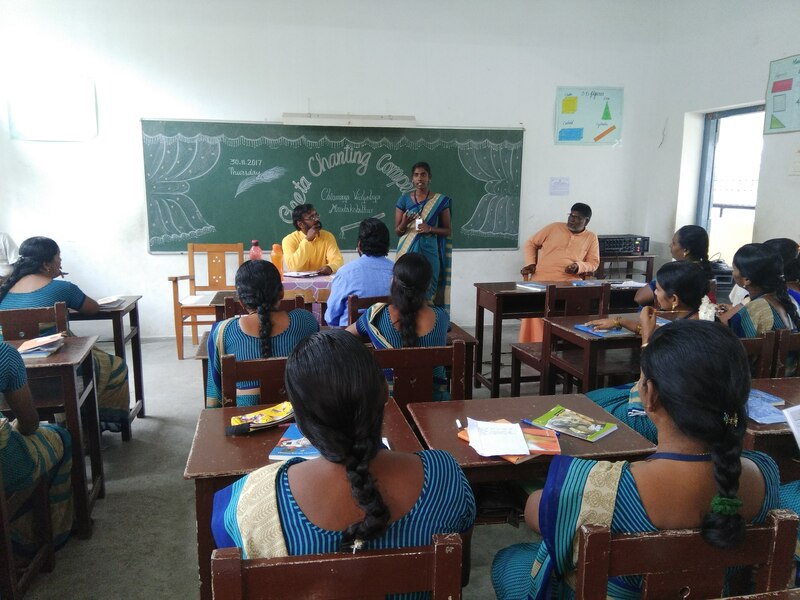 Smt.Joyce of CV - Avadi spoke on CVP and communication skills and some of the teachers expressed their ideas of developing communication skills. 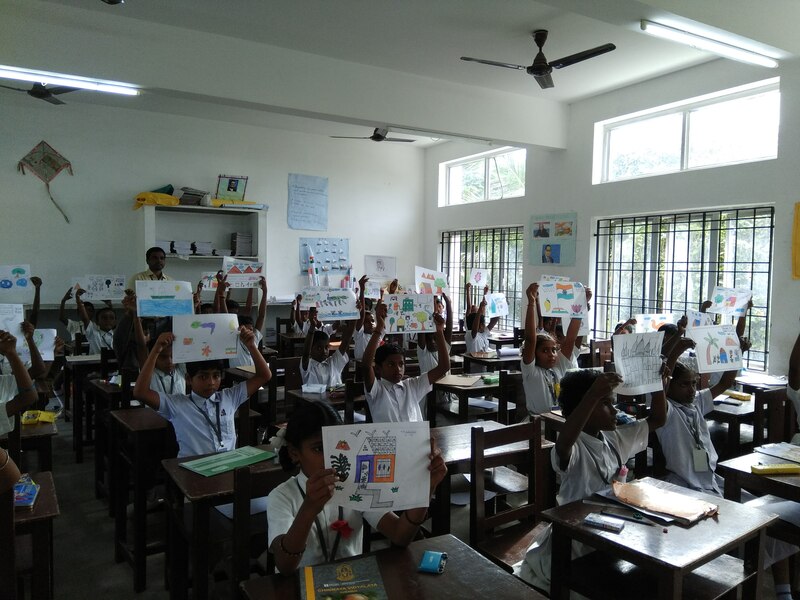 The ICICI Bank conducted drawing competition for our Students on a variety of themes . 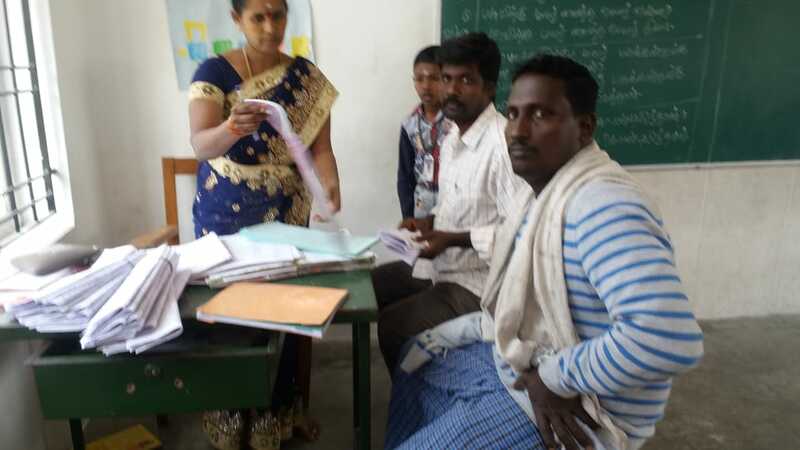 The drawings were collected by them. 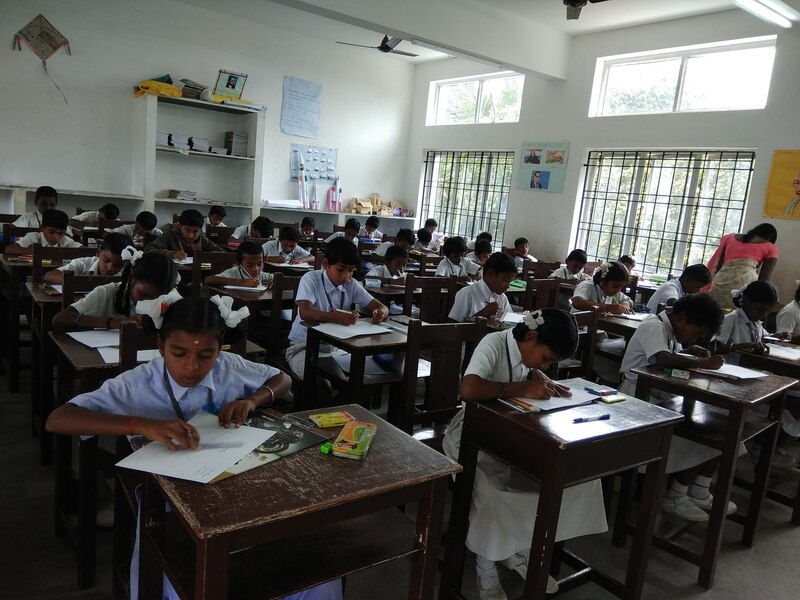 The results of the competitions are awaited. 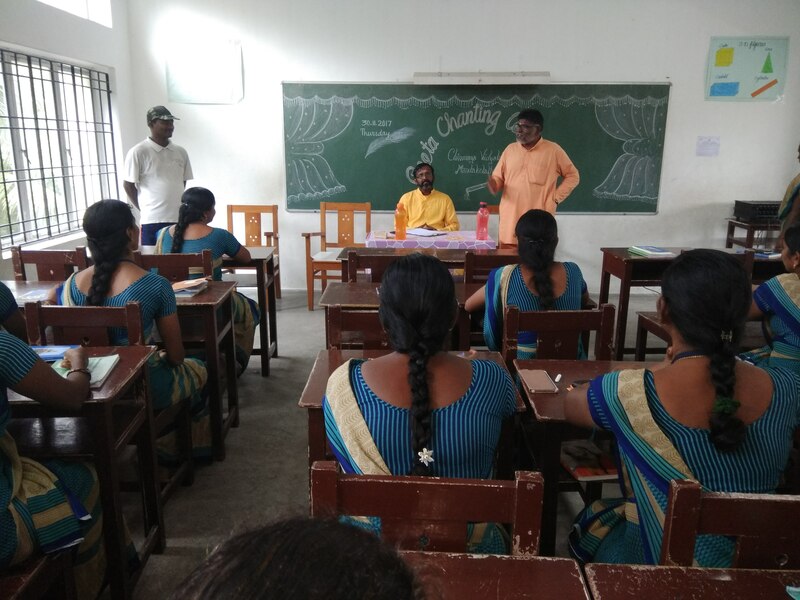 Br.Ananda Chaitanya took spiritual classes for students of Stds IV to Stds IX.He stressed that children should develop mental and physical strength and in illustrations , stories from Epics , narrated. 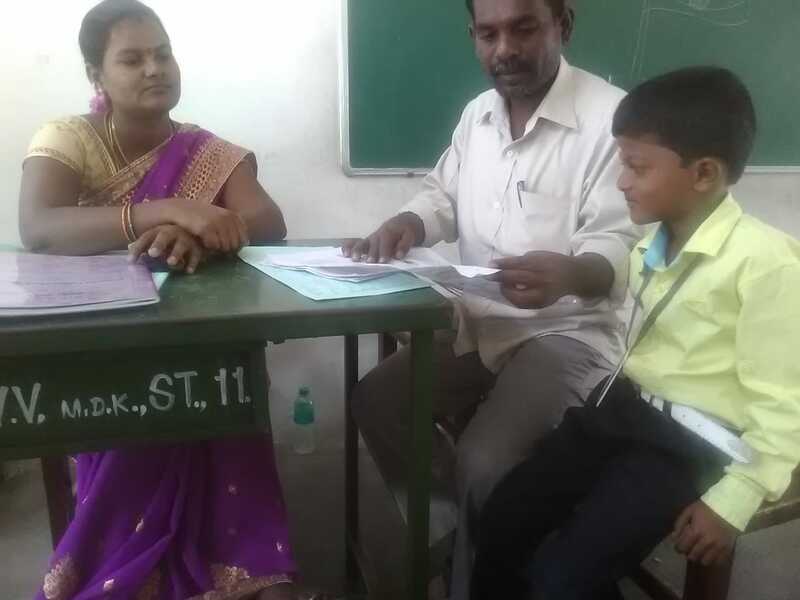 Like wise , he took classes for the Teachers , he addressed the teachers on the importance of education by citing thoughts on education by Swami.Vivekananda and former president Sri.A.P.J.Abdul kalam. 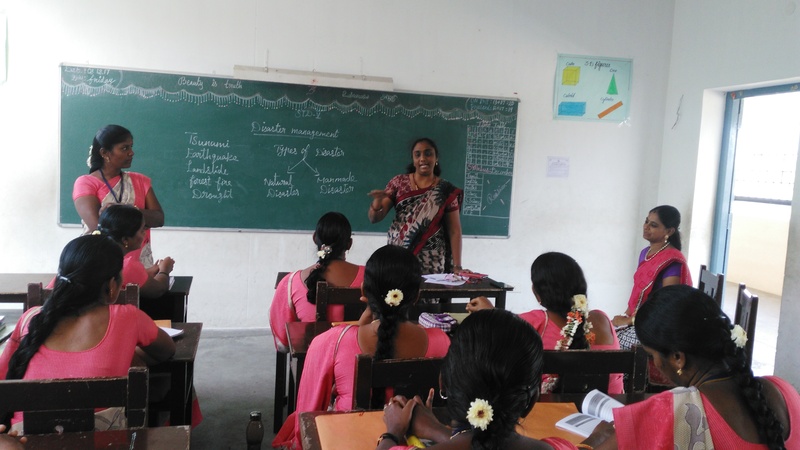 Teachers , individually expressed their ideas on education. 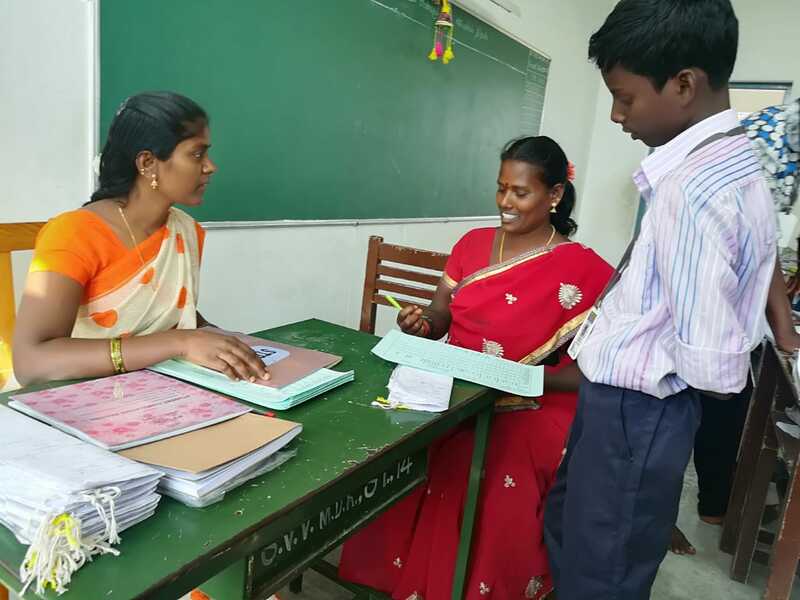 Smt.Malathi spoke about maintenance of administrative records. 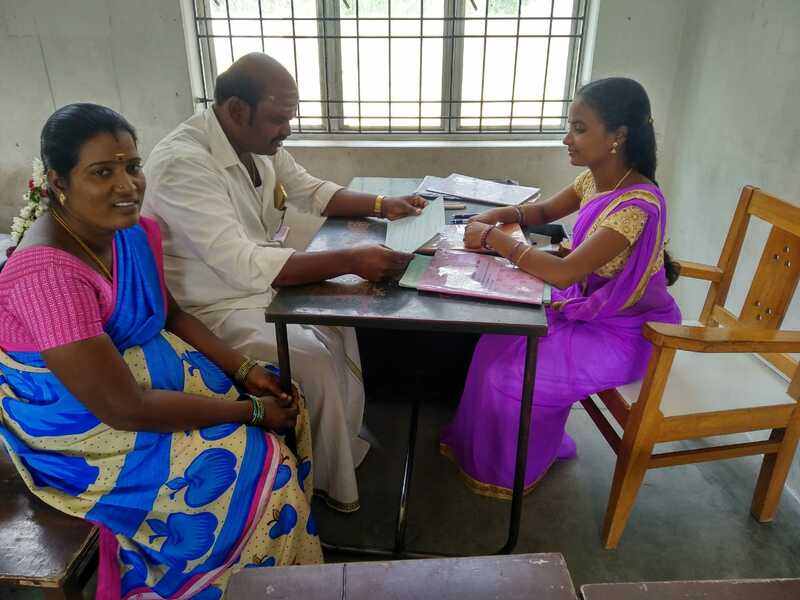 with the aid of records maintained by our institutions . 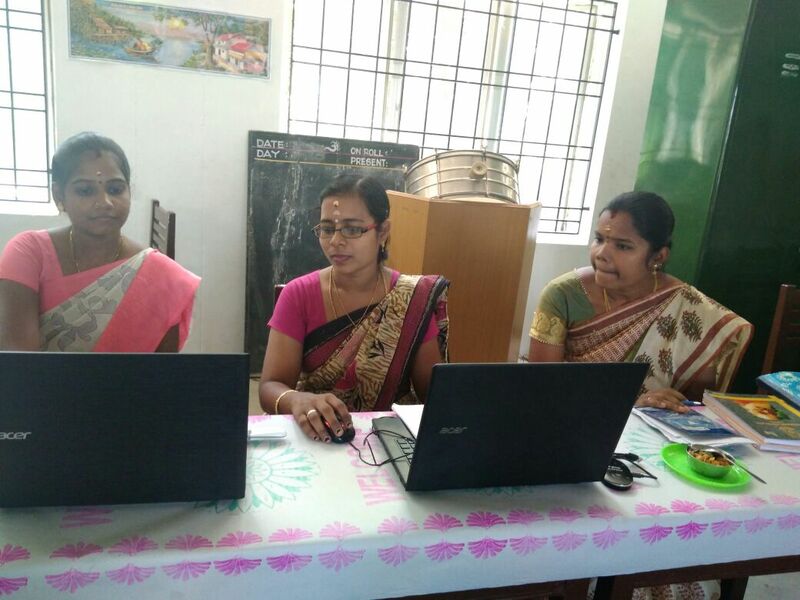 The instruction were helpful. 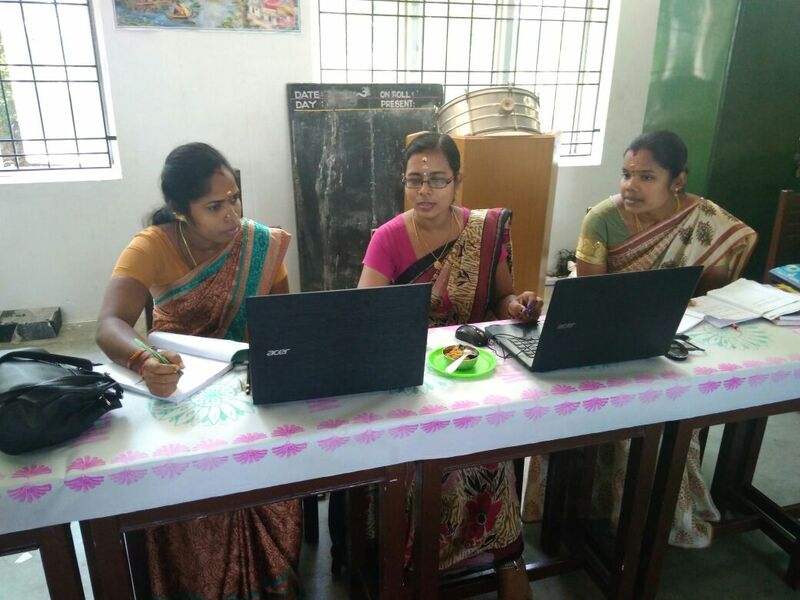 Team of Teachers from CV-Avadi citing rhymes with action to LKG . 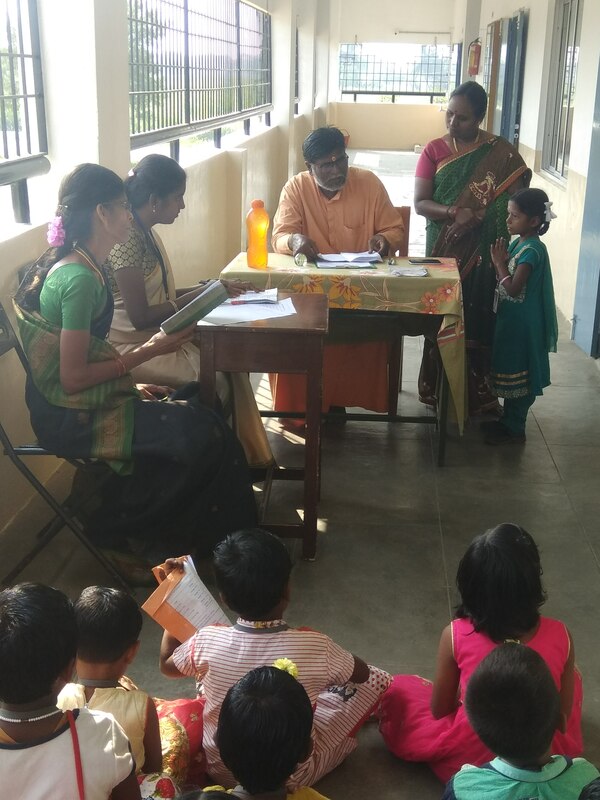 Team was led by Smt.R.Pratheepa Pincipal.who also gave instructions to the children. 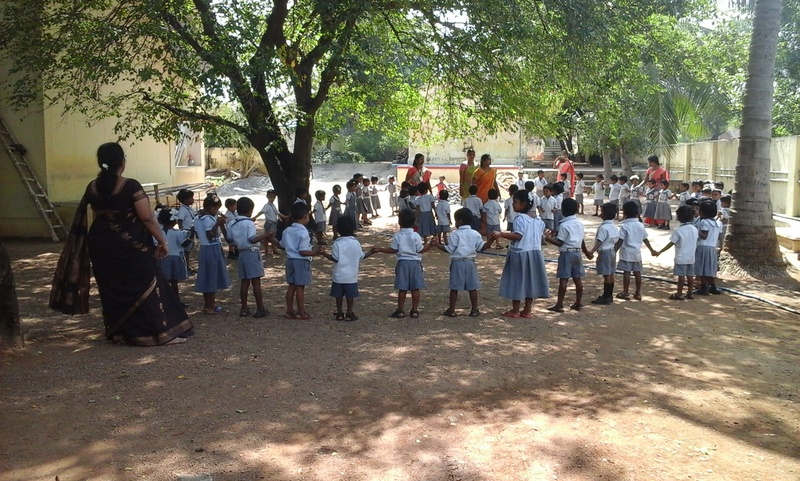 Children took part with enthusiasm and responded with action. 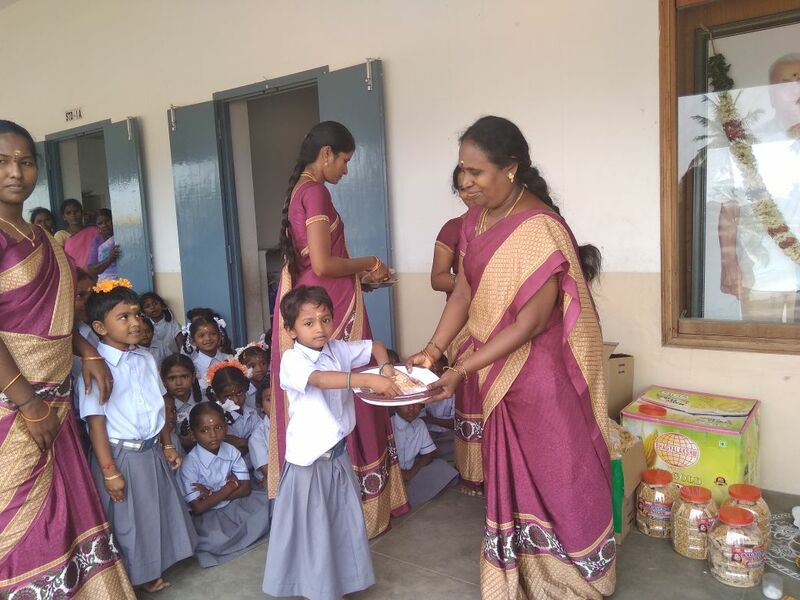 Children of CV- Avadi sent dolls as presence to children here.